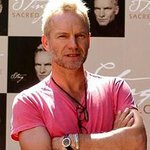 Sting hosted a plethora of famous faces at his biennial fundraising concert for The Rainforest Fund at Carnegie Hall this week. Directed by Trudie Styler and featuring key speaker Bill Clinton, the show attracted a star-studded audience that included Aretha Franklin, Tom Hanks and many more. The Rainforest Fund was founded in 1989 by Sting and Trudie Styler in response to a direct request for help from a Kayapo Indian leader in Brazil who was seeking to protect his people’s land and culture. Over the past 23 years, the Rainforest Fund has worked in partnership with more than 100 local organizations in all major rainforest areas and successfully protected over 115,000 sq km of forest. In 2012 the Rainforest Fund continues supporting a range of long term projects including comprehensive policy programs, empowerment of the indigenous groups, mapping of territories, securing their rights, improving forest management, lobbying governments, creating law reform, and developing organizations, with a particular focus on climate change initiatives. Highlights from the show – which celebrated “Songs From the Silver Screen” – included Elton John and Meryl Streep joining Sting for If I Only Had a Brain, followed by James Taylor singing Somewhere Over The Rainbow. Vince Gill joined Tom Hanks’ wife Rita Wilson on stage for All I Have To Do Is Dream, while Jennifer Hudson dazzled the crowd with And I’m Telling You. Also performing at the event were Bruno Mars – who joined Elton John for a version of Unchained Melody – as well as Bryn Terfel, Roseanne Cash, and Channing Tatum. But perhaps the highlight of the evening was Elton John’s rendition of Diamonds Are A Girl’s Best Friend.